45% Linen and 55% Organic Cotton - a match made in heaven for the ultimate in comfort and natural luxury. The Purists line is an all natural line of luxury bed linens that are manufactured and finished without the use of any chemical ingredients. No chemical bleaches, No chemical dyes, no chemical finishes are ever used in the Purists line of all natural fiber blends of egyptian cotton, linen, linen/cotton, virgin wool silk, cashmere and our innovative Legna fiber. 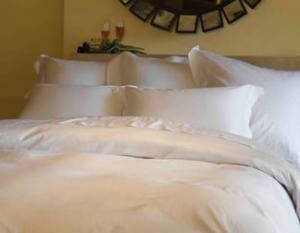 Purists fine bed linens add luxury, grace and beauty to your home while maintaining the pureness of nature. The Linen Plus collection coordinates beautifully with Marrakesh and Jasmine. 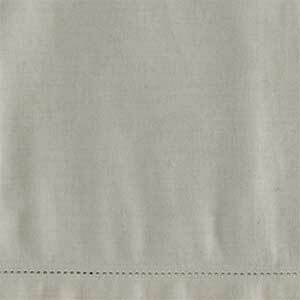 Woven in Italy, this practical and luxurious fabric is naturally colored and will continue to soften with each washing. The true purity in this design exemplifies the key SDH philosophy of natural, classic elegance. Clean quiet grace and timeless sophistication with wonderfully natural comfort. Pure Organic Luxury. Bedskirts are Gathered. Top sheets, shams and bedskirts are hemstitched. Machine wash gentle.